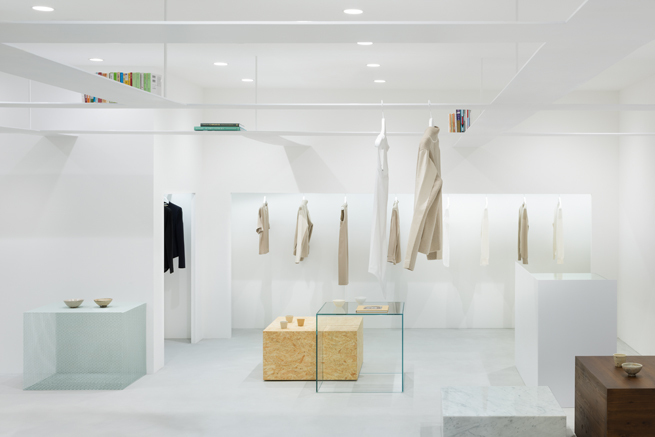 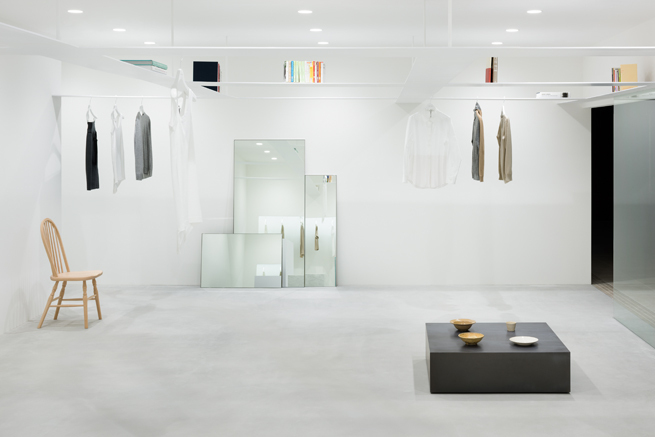 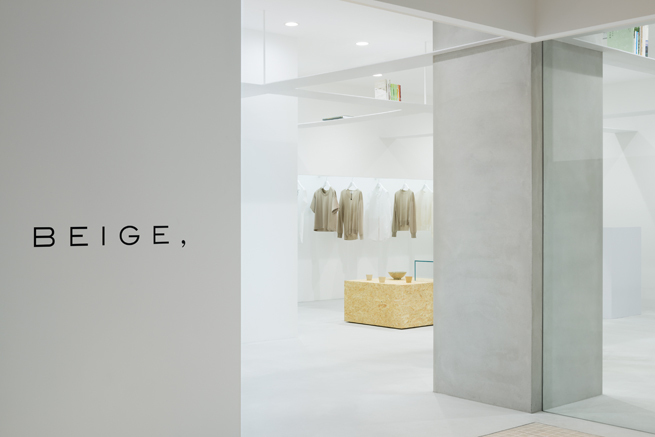 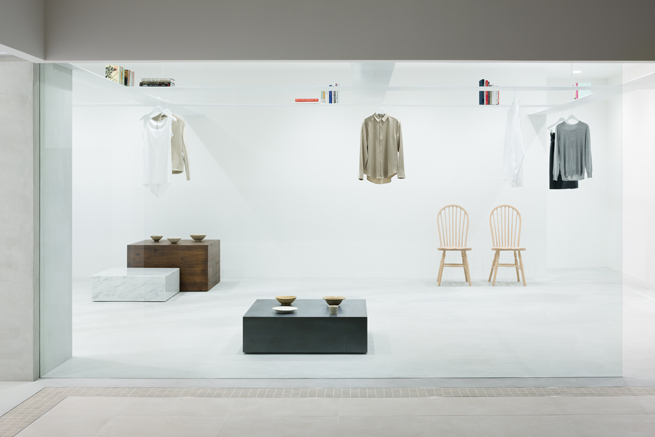 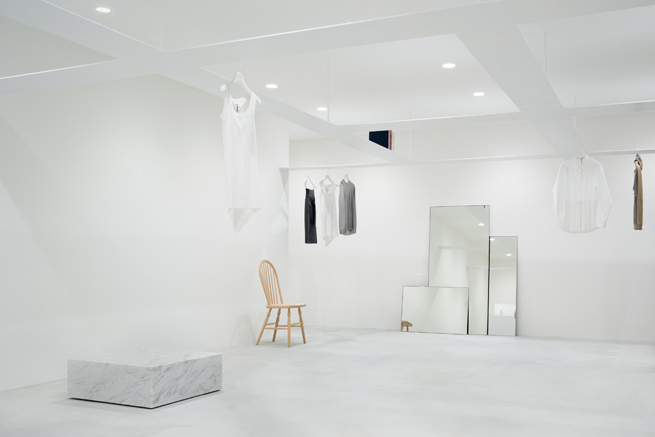 A concept store for fashion brand BEIGE, newly opened in the Tamagawa Takashimaya shopping centre in suburban Tokyo. 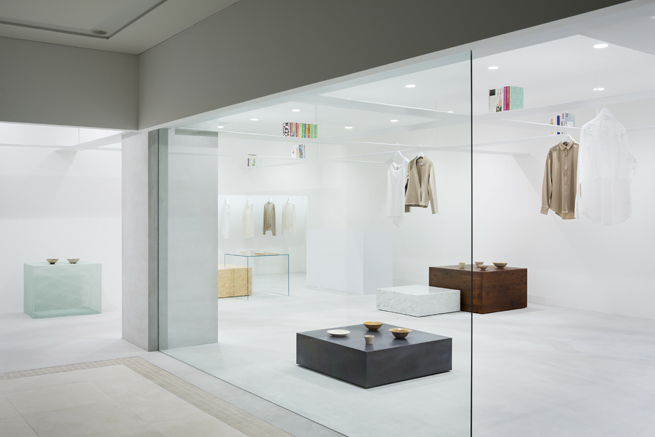 The brand’s owners wanted a multi-functional space that would accommodate multiple uses: a shop for selling interior goods, a library space for book-lending and a gallery space for regular events and art exhibitions in addition to the main clothing retail space. 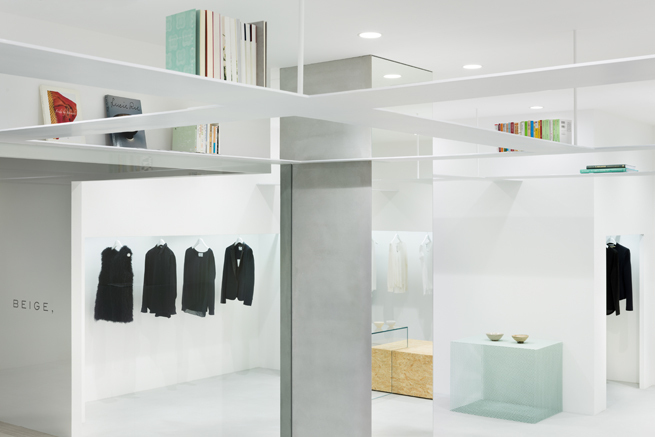 We considered a zoning approach with specific areas for the shop’s different elements, then decided that subdividing the already small space any further would simply clutter it. 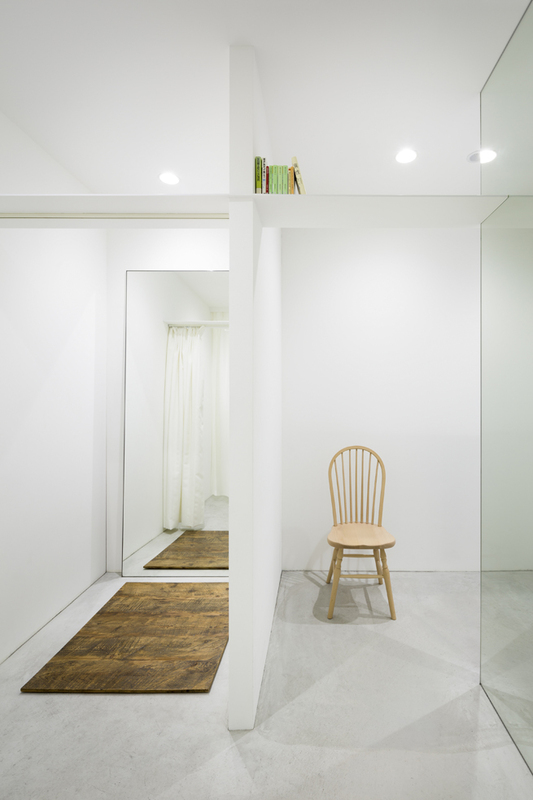 To avoid this, we chose to stratify the space vertically instead. 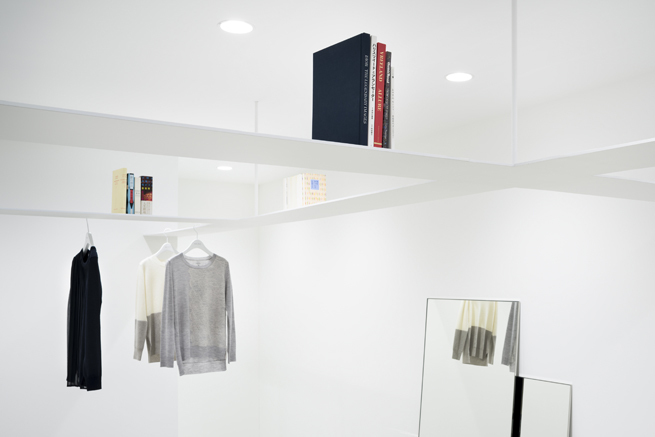 We installed a 7.5mm ‘beam’ 2.05m above the floor, and created an attic-like space for books. 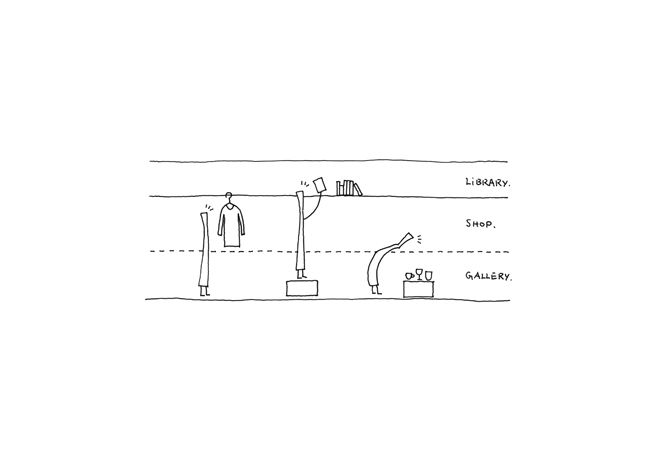 Bookends held in place magnetically prevent books from falling off the shelves. 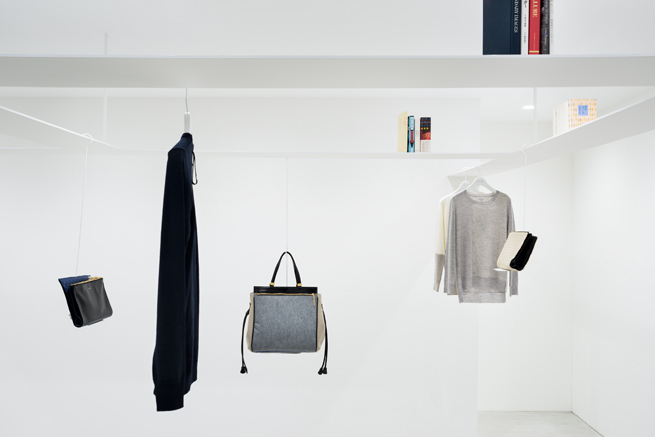 Hangers for clothing and bags are hung from the beam and can be freely moved to different places within the shop area. 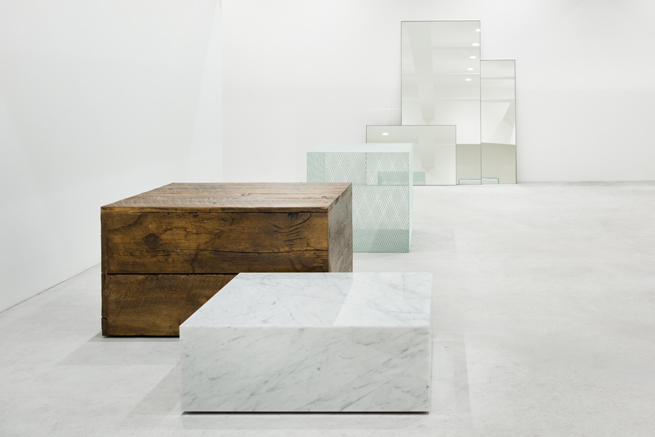 A variety of unfinished, box-shaped fixtures dot the floor. 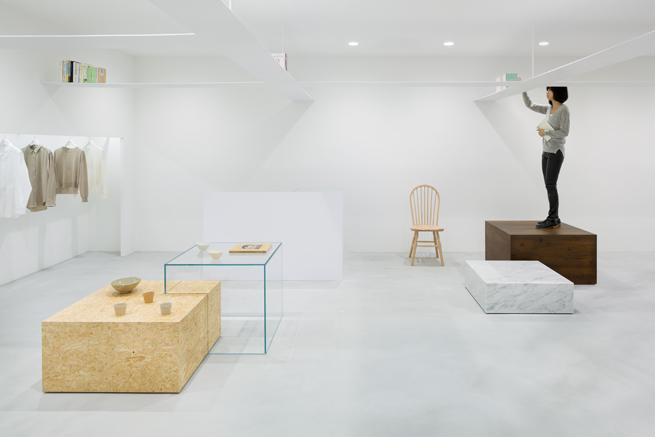 These can be used as stepstools to access the book space, or as plinths for exhibiting artworks and home accessories. 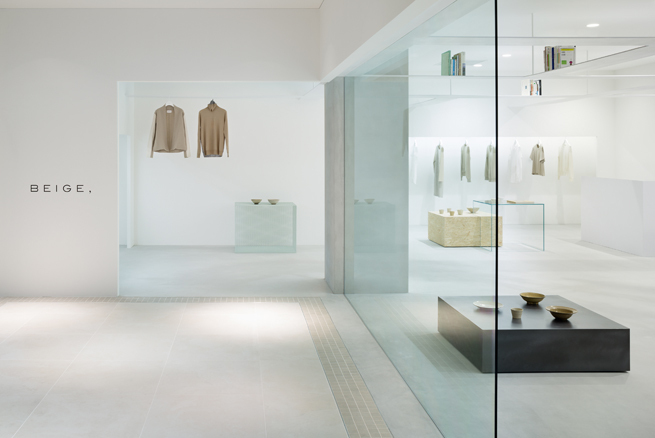 The use of vertical layers allowed us to create a highly flexile, visually neat space.